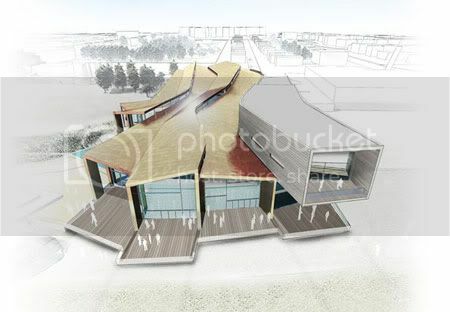 Award winning London based architect firm - Wilkinson Eyre has beaten 109 other teams to win RIBA international competition to design 'a new swimming complex for Worthing which would be a first class leisure facility for the town and be a landmark building demonstrating civic pride and status' to replace Worthing's ageing 1960's Aquarena. 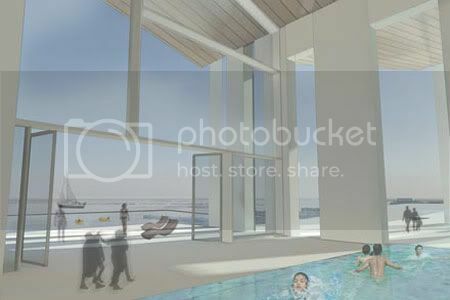 The new pool complex will feature an eight-lane 25-metre pool, a dive/learner pool, indoor pools with flumes and rapids, and outdoor “leisure waters” as well as a café, crèche and health and fitness centre. 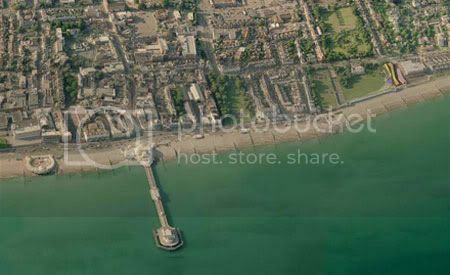 Chris Wilkinson, director and founder of Wilkinson Eyre, said: “Worthing is a beautiful English seaside town with a spectacular waterfront and I am delighted to have the opportunity of designing a building on such an important site. “It is a great opportunity to continue the tradition of British contemporary seaside architecture”. 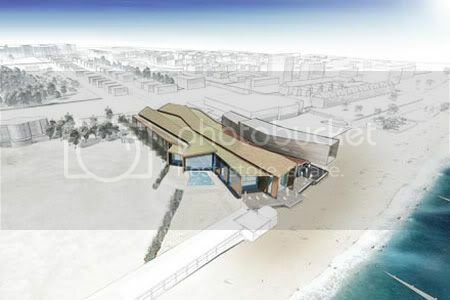 The new pool will be built beside the ageing Aquarena which will be demolished once the new facility is complete. The other shortlisted firms were Allford Hall Monaghan Morris; Thomas Heatherwick with local firm Saville Jones; Pringle Richards Sharratt, and Ian Simpson Architects. Thought you might be interested in this new website www.ajnotebook.com. It's a bit like Notcot really, but much better designed - kind of what you want from a design site!